Thanks for agreeing to the interview! 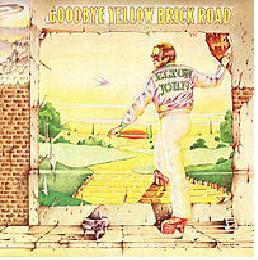 experience in other arty areas, from designing album covers (including the cover for “Yellow Brick Road”), to advertising, from cards and calendars to murals. What do you feel this more commercially driven art brought to your work as a children’s book illustrator? ‘Marketing’ is something that seems almost a dirty word to purists but it is an essential part of any saleable product in a competitive marketplace – does the ‘selling’ aspect play any part in your creative process? Should it? IAN: I began my career as a ‘commercial’ illustrator, making drawings and paintings for anyone who asked, I just wanted to make a living from illustrating. That had been my goal since I was very young and I had noticed ‘spot’ drawings and the like in newspapers and magazines. My ambition had been to do something similar. I spent a very varied and happy twenty years or so in that illustration world. I learned a great deal technically through the trial and error of making drawings for difficult and or demanding clients. I learned patience, and the ability to redraft, remake, remodel, with a smile and good grace. This all helped when I was offered my first children’s book to illustrate (Round and Round the Garden) in 1982. It helped me to be consistent in my coloring, to get the mood of the book as demanded by the editor and designer, a process I was by then very used to. The selling part is obviously important. No publisher wants to make a book that does not sell, nor does any author. I certainly built on my experience in commercial illustration to make my pictures ‘appealing’ if that is the right word. I tried to bring tenderness and charm to my depiction of babies or animal characters. That was how I worked anyway, my commercial work had been influenced by the world of children’s illustration from the word go. I collected illustrated books from my time at Art School, and I still do. Jennifer: With Heroes like Edward Ardizzone and Harold Jones and a teacher like Raymond Briggs one could say you were always going to end up illustrating children’s books. 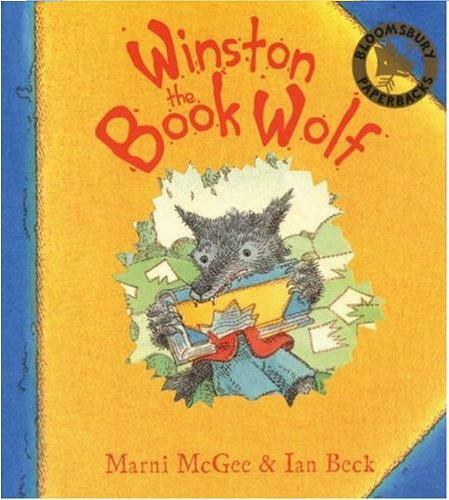 What were your favourite books as a child? What images stuck in your mind – were they from books, films or somewhere else? How have these influences shaped your approach to your art? IAN: I grew up in a house with very few books. Ours was what you would call a ‘blue collar’ family. My father was a milkman, (as was Raymond Briggs’ father) we had a patchy library of mostly old novels, I remember we had volume two of Gone With the Wind, no sign of volume one. The printed images I saw were either in comics, magazines or newspapers. I began my interest by trying to copy those images, often on to the endpapers and flyleaves of the old books that were lying around. Later I joined my local library and began my life long love affair with books and the pictures in them. I started with Hugh Lofting’s Dr Dolittle books. I read all of those in sequence and often reread them too. Later I moved on to Richmal Crompton’s Just William books, and I still read and laugh over those. I think however if there is a single illustration that I remember, that opened my eyes and mind, it was the one by Pauline Baynes, in The Lion the Witch and the Wardrobe, it is of Mr Tumnus out in the snow with his parcels and the street lamp. It still gives me the shivers. I think my own illustration work has been made of so many influences it would be hard for am to untangle them all, but they are all there in some way even if the result is recognizably ‘me’. 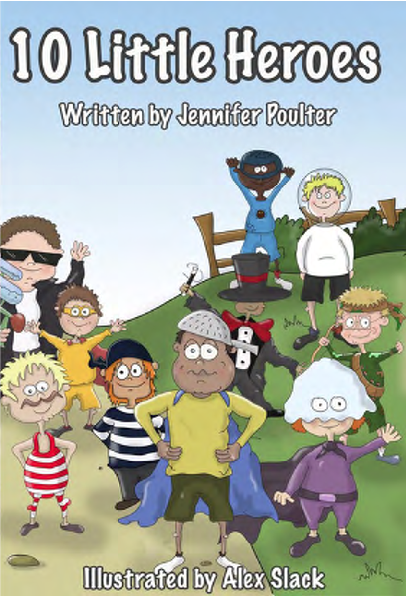 Jennifer: The ability to tell a story inside a story as with your book “Five Little Ducks” –How did you set about that now classic ‘Beck’ book? Was the other story of the fox there from the outset or did it ‘occur to you’ in the way the speaking crow did in Tom Trueheart? 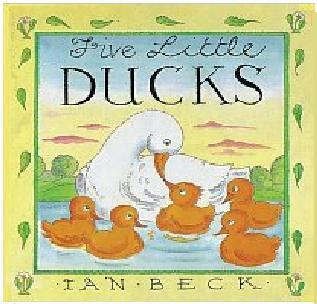 IAN: As so often happens, Five Little Ducks began as a quite different book. I was discussing with Judith Elliot, then the overall editor at and founder of Orchard Books, the possibility of a book about night time. I had made some roughs, written out some ideas, but it had stalled. Jill Slotover who was an editor there suggested the rhyme of the five little ducks. I saw it complete at once in my mind, the fox, the brave duckling etc etc. I drew some thumbnail sized color visuals in a sketch book, and that was it, go ahead, and I did. It seemed to flow very naturally and was a very positive experience. 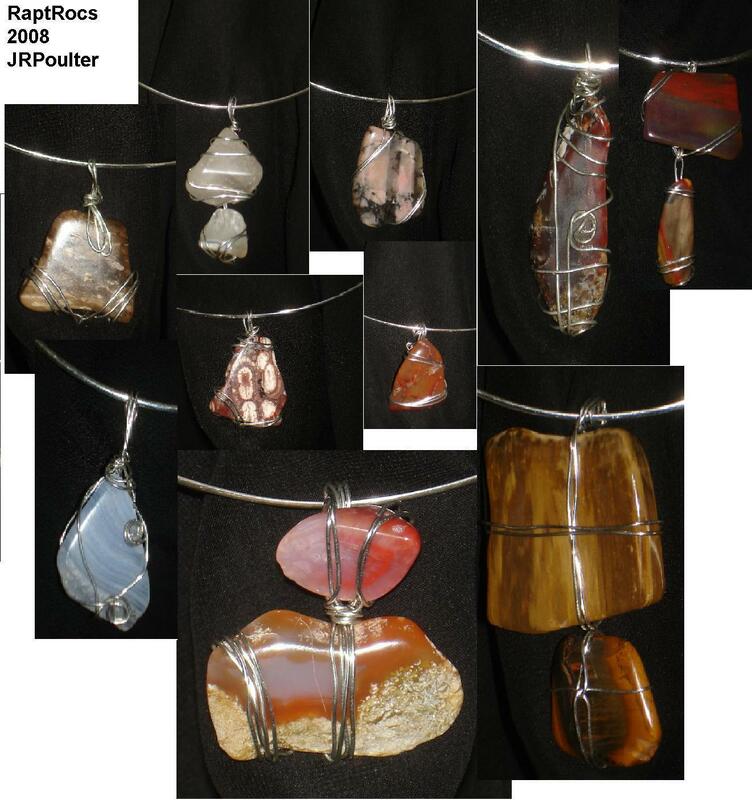 Jennifer: This brings me to the ‘right brain’ process present in much of creativity. In one interview, you spoke of ‘trusting’ an inner nudge that told you to go with the talking crow, even though never envisaged as part of your original idea for Tom’s story. How does this work in the illustrative process and is it different to that in the writing process? How do the two creative processes compare? IAN: In writing a longer story there is naturally a certain amount of planning but as you work on something the imagination creeps up behind you occasionally and goes, ‘boo, weren’t expecting that were you’? This is just what happened with the talking bird, it seems meant and obvious to me now that Jollity the crow should be there, but he was meant at first just to be a target for Tom to throw a snowball at. Once the notion popped into my head that the bird would speak the book opened up for me there and then. My drawings were always planned more rigorously, I was very much in control of them, I can’t imagine the same leap occurring during the making of a drawing. do ditto! 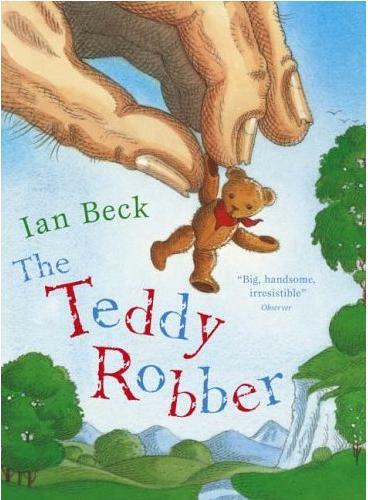 The silhouettes perfectly suit the darker story, but are very different to your style say for example used in “The Teddy Robber” and again from “Puss in Boots”. How do you decide on your approach to each project? IAN: The silhouettes were not in the planning of the book at all. 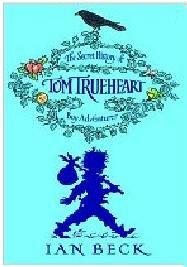 I was working on some ideas for the cover of Tom Trueheart with the designer Molly Dallas at Oxford University Press. We had a lot of ideas scattered about on a table, when she remembered that the endpapers I had made for a previous book (The Oxford Nursery Story Book) had used silhouettes. I turned the image of Tom walking with his packstaff into a silhouette and it seemed to click into place at once. It was a short step from that to illustrating the whole book with silhouettes. It was quite a discipline to learn, but a very enjoyable one. So I suppose this approach was unplanned but seemed right. 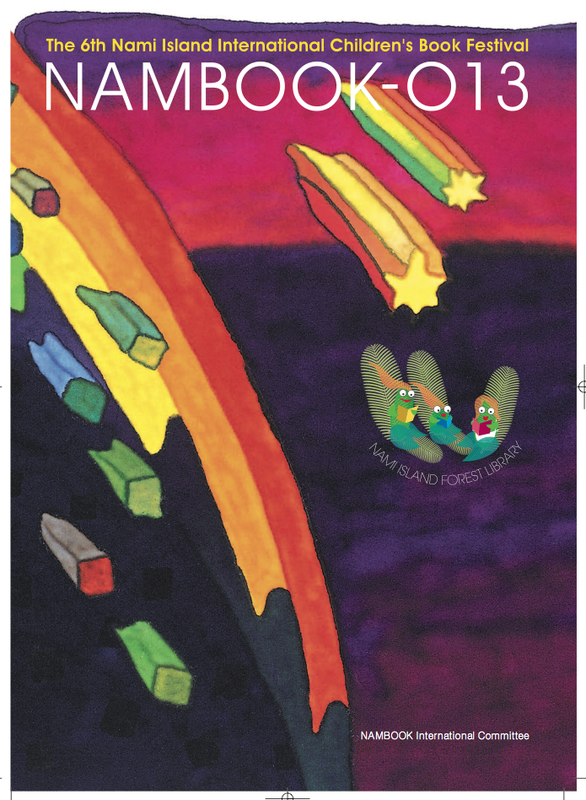 Most of the picture books would be planned with the designer and editor together. They have a valuable input as well after all, quite rightly. Sometimes an editor will say, ‘it would be nice if this book were some thing like this’, and refer to a past book or approach, that certainly happened with The Little Mermaid, I went for the sad and the romantic, the lavish and the wide screen in that book very different to much of my other more graphic output, I imagine for the first and last time. Jennifer: Any career path is a journey and one might have predicted that having the story teller gift (as demonstrated in “Five Little Ducks”) you would eventually arrive at the point where you wrote your own stories. Did you always want to do this, or is this a new adventure? The urge to write narrative though has been with me from the beginning. 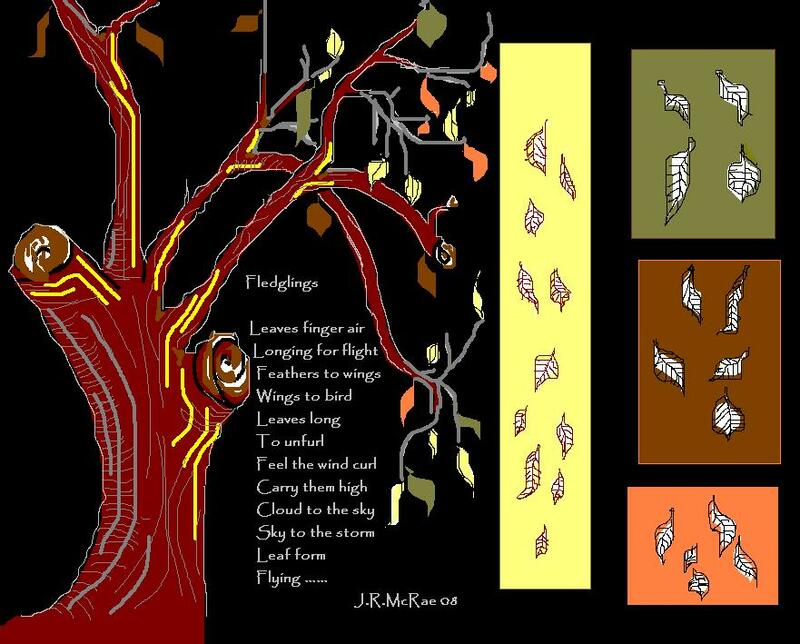 When I was a young commercial illustrator I went to creative writing classes. It was my intention to write adult fiction. I wrote a couple of short stories, began a novel, but it all ended in a drawer unresolved, unfinished. The urge was still there, the itch, the frustration if you like, but all necessarily suppressed under my busy drawing schedules, the need to earn a living, growing family life etc. Then the seed for Tom Trueheart was planted and grew a little in the potting shed inside my brain. He lay dormant for a while until, sadly, one of my best friends died. This was a big wake up call, as he was younger than me. ‘Come on’, I thought, ’finish that idea, grow that seedling, do what you really want to do, life is too short’. So then Tom actually got finished, with the encouragement of my agent Hilary Delamere. The publisher liked him and so did several other publishers. He is in ten languages now I think, so sometimes trusting your instinct is the way to go. 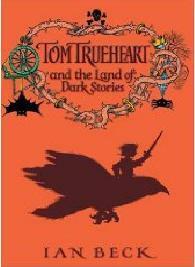 Jennifer: Tom‘s second book of adventures “Tom Trueheart and the Land of Dark Stories “ is darker by your own admission. The same applied to the progression of J.K.Rowling’s Harry Potter series. What were the influences at work when you realized a second book needed to be written? contained, and complete. The first draft ended with Tom confronting the villain Ormestone in a wood and Ormestone turning him into Tom Thumb, ie Tom finally had his own story to complete. My editor Liz Cross read it and said that she didn’t think it was the end of book one, rather she felt it could be the beginning of book two. I was delighted to think that there would be a book two as I had enjoyed writing about Tom so much. Book two needed a new set of stories and characters, there was the unresolved business of Tom’s missing father, maybe he would make an appearance and so on, it all just slotted into place. I used some of those darker fairy story elements, wolves, castles, bats spiders, skeletons, and so on, imagining that the villain would go to where he would be appreciated, and all this with Tom shrunk down to the size of Tom Thumb. It was great fun to do, and I have now nearly finished the third book, provisionally called Tom Trueheart and the Land of Myths and Legends. As you may know Suppertime Entertainment are developing animated films based on the books, so we wait to see what happens next. 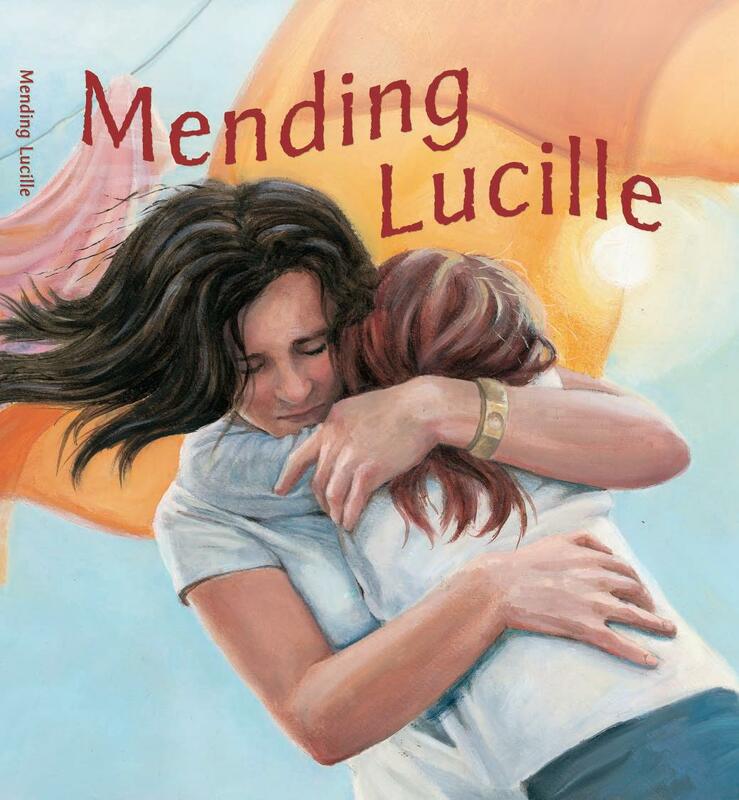 Jennifer: How did you feel as an illustrator about someone else doing your illustrative work, as with the book covers for paperback edition in UK [Adam Stower] and the USA edition [Brandon Dorman]? IAN: It is something of a luxury and a delight to see other artist’s interpretations of my characters and stories. As an illustrator myself you might expect me to be hyper critical, but no, I am very relaxed about it and I very much like what both Brandon Dorman and Adam Stower have done in relation to Tom Trueheart. Just recently, I saw the jacket for Pastworld which is far better than anything I might have done, completely spot on, designed by John Fordham and with an illustration by Paul Young, full of texture and mystery. It was sent to me as a ‘fait accompli’, and I couldn’t be happier with it. Jennifer: What do we expect to see next? What about film scripts [ I noted the trailer on your site.]? What about your own totally Beck picturebooks? IAN: I have a big novel (in terms of length and ambition) coming out in the summer of 2009. It is called Pastworld. It has taken me four years to develop and complete, Bloomsbury will be publishing. It is a much darker book, aimed at older readers, twelve years and up. A complex book, and hard to sum up in a few words, it is a dark adventure set in what appears to be Victorian London. I suppose you would perhaps categorize it as ‘Steampunk’, there are airships, and murders, and strange passions. It has grown out of my obsession with London, the city I have lived in for forty years, with the science fiction novels of H G Wells, and movies and all sorts of other things muddled together. It may surprise some of my readers, even shock them. It is intended as an older read, it is nothing like Tom Trueheart, and it is not at all cute. After that I am writing a novel for Oxford provisionally called The Hidden Kingdom, in which the hero is thrust into a sudden drama and the reader discovers the truth as the story develops and at the same time that the hero does. It is set in a mythical place and time and will I hope explore love as one of the subjects. As to films, I wrote a short story for adults called The Summer House. A young film maker read it and wanted me to adapt it as a screenplay for a short film. I did the adaptation and the film was shot in France two summers ago. Through the magic luck of casting the director Daisy Gili, got Talulah Riley, fresh from the film of Pride and Prejudice as the young female lead, and a boy called Robert Pattinson as the young male lead. Rob of course is playing Edward Cullen in the film of Twilight which just opened ‘big’. So our little 13 minute film now has the added bonus of two rising stars. My son has a film making company and he kindly makes book trailers for me, we are looking forward to making the trailer for Pastworld plus a website where further mysteries can be developed. McGee, but whether I will ever make another one of my own I don’t know, the longer form seems to have taken over. Jennifer: You’ve had a lot of interviews that have covered a lot of ground. Is there a question you wish you had been asked? Okay, now’s your chance! Question and answer – over to you! Q. What would you have done if you hadn’t made books? IAN: I would like to have been a ‘café concert’ cabaret entertainer in the mythical Paris of the 1900’s, singing in a tux with a cane, and hanging out with Ravel and Erik Satie and perhaps even having a passionate affair with Colette! Jennifer: Yep – I can see you doing a Maurice Chevalier complete with top hat! Maybe that is more than just a dream?????? Now here’s a tantalizing tease – Hidden Kingdom and Pastworld are coming up AND, with one shorter film under his belt already and two animated feature version of the Tom Trueheart books under way, can we expect Ian to be off to Hollywood next with a blockbuster in his sights? Stay tuned!!!!! 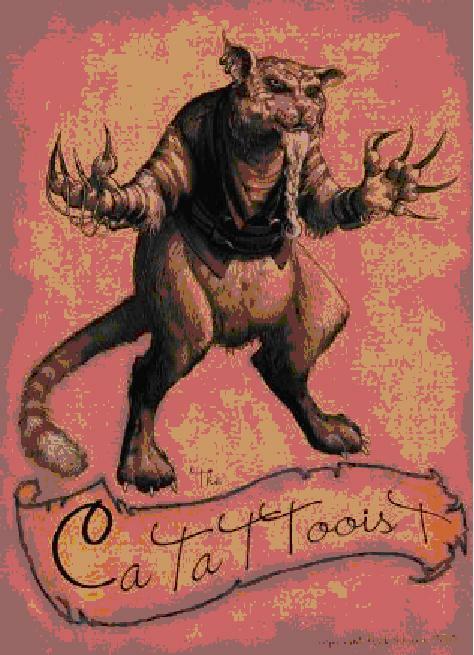 Wacky Wordage Number 6 – “The Catattooist” – This one is Nick Harris’s fault! For executing what he draws. As sick as a tumour…. A cat with such skill and precision! Your back is one ‘hell’ of a vision! He can draw so it seems!